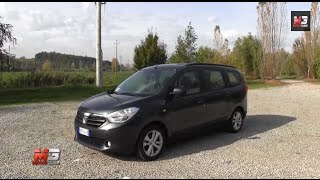 Dacia is poised to expand its line-up in 2012 with the release of Lodgy, an MPV which will be available with either five or seven genuine seats. Lodgy will deliver the brand’s hallmark combination of outstanding cabin space and a range of essential features tailored to meet the specific demands of Dacia’s customers. Families looking for a versatile vehicle for a contained price, who have traditionally turned to used vehicles, will now be able to purchase a new MPV complete with a three-year warranty. In addition to its generous proportions, Lodgy features the usual Dacia cues, including plenty of cabin space, robustness and functional design. 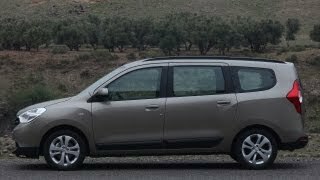 Its side view points to its roomy interior, even for passengers sitting in the third-row seats, as well as its appreciably-sized large boot, within a total length of just 4.5 metres. Its name, Lodgy, is redolent of the English word ‘lodge’ and refers directly to the model’s chief characteristic which is its ability to comfortably accommodate a family and its luggage. 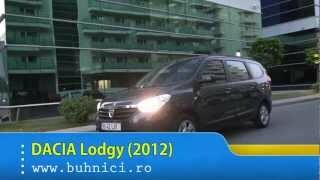 Dacia Lodgy will be introduced at the Geneva Motor Show, Switzerland, in March 2012. 3.Reliability, thanks to technical solutions proven on other Renault Group vehicles. For its third campaign in France’s Trophée Andros ice-racing championship, Dacia has once again broken the rules by entering an MPV, Lodgy Glace, for the first time in the competition’s history. Two cars are contesting this winter’s series, shared by a particularly strong line-up of drivers: Alain Prost, Nicolas Prost and Evens Stievenart. Alain Prost tops the provisional standings with a score of two wins from three rounds ahead of the championship’s traditional Christmas break.